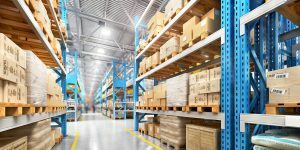 Whenever somone opens a business that involves an inventory, a question that comes up after some time is… How do I value the taxes on something that is continuously fluctuating? How do I evaluate something that has a different value when I buy it versus when I sell it and it’s on the market? No matter how confusing this all sounds, there are multiple methods to make matters simple for the business owners. 1. Cost – This is the price you paid for the items in your inventory. 2. Market Value – ­This involves evaluating your stock on the basis of the market value of the goods on the specific valuation date. 3. Retail – This method involves calculating the value of inventory on your selling price and then reducing a specific markup percentage to arrive at the final cost. While calculating your inventory value by using any of the above factors, if you come across any kind of item that you consider ‘damaged’ or ‘worthless’, then you may exclude it from your calculation. Now, as for the methods of calculation, the IRS (Internal Revenue Service) prefers the FIFO (First in First Out) and LIFO (Last in First Out) methods, but there are also other methods that the IRS allows. The IRS recommends both of these methods for Stock Valuation especially in the case of taxes. First In First Out (FIFO), it is the assumption that the first things that went into the stock were the first ones to be sold. This is very effective when prices are going up (this is the usual case) and the value of the inventory is recorded to be higher. As the earlier and cheaper items in the stock are subtracted from the entire value of the old and new (expensive) items, this creates a larger taxable amount. However, if this method is used in bookkeeping, it can attract investors to put money in your company and make it easier for your business to get loans for expansion, which is beneficial for many businesses despite the fact that it leads to a higher tax. The Last In First Out (LIFO) method involves assuming the last item to be bought for resale is the first item to be sold. When prices are increasing, the item at the highest expense is the first one to be sold and, therefore, deducted from the sum of old (cheap) and new (expensive) goods in the inventory. This leads to an overall lower taxable income. Now, some would be wondering if a mixture of FIFO and LIFO could be adopted into the accounting of a particular business. Even though using multiple valuation methods are allowed, if a company is utilizing LIFO in tax, then they must utilize it in bookkeeping as well. Moreover, if a company’s subsidiary is utilizing LIFO, then the entire company must also employ LIFO in calculating the value of their stock. Nevertheless, LIFO is the preferred calculation method for many companies, especially those who are looking to cut their taxes. Deciding which method to use depends on the goals of your business, whether you are looking for a lower tax bill or wanting to build strong financial books in order to attract investors. Some people think that maintaining a large inventory can get them an advantage in taxable income, however, this is a misconception. Items in the inventory do not give out any tax-deductible effect until, and unless, they are considered ‘worthless’ or sold, both of which results in them being removed from the stock. You must also ensure that your inventory is not too small, as it gives no advantages in terms of taxes. The ideal solution is to maintain a flow in your stock which involves a delicate balance between the purchases into the stocks and the sales that get out of the stock. This is also really beneficial for business as it cuts down the costs of borrowing money for stock or paying for storage of the supplies. It is recommended that you consult an accountant to advise you on the stock valuation methods and help you manage your business’ financial records. https://www.completecontroller.com/wp-content/uploads/cclogo_main-long-300x63.png 0 0 Complete Controller https://www.completecontroller.com/wp-content/uploads/cclogo_main-long-300x63.png Complete Controller2019-02-20 02:11:492019-02-22 10:01:35How do I Value My Inventory for Tax Purposes?